Franck started his musical career at the age of 14. Before he had the ambition to go to the film academy but after picking up the guitar the decision to go to the conservatory was quickly made. Most of his skills were self-taught with a bit of help from his father who was a music teacher. 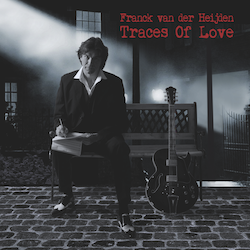 In 1990 he graduated at the conservatory in Hilversum majoring arranging and composition. Besides playing in several bands as a guitarist he worked in studios as a producer and arranger. From 1995 onwards the focus shifted to arranging and orchestrating for large orchestras. He wrote compositions and arrangements for numerous corporate events, international renowned artists, radio and TV, more than 20 years for the Metropole orchestra and 17 years for the Night of the Proms where he met David Garrett in 2002. From that moment on David and Franck started to work on the crossover material. Apart from the productions and live concerts with David he continued writing orchestral arrangements for other recordings of artists like Within Temptation, David Guetta, Michael Jackson, Bruno Mars, John Legend, Celine Dion and many others. In 2016 Franck was involved in the UEFA Euro finals, arranged and conducted the symphonic versions of the official Euro song ‘This one’s for you’. For the upcoming UEFA Nations League he is the co-composer of the official league anthem. For all the tours with David Franck is the music director, conductor and guitarist. In 2012 he was given the opportunity to write the film score for ‘The Devil’s Violinist’. His greatest ambition to write film music became a reality, in spite of his choice for music the love for film never died. Hello everyone! very excited, tour to the Baltic states, Israel, and Romania with many, many more countries, so stay tuned! On tour in Poland with David Garrett. 'Explosive live' in Krakow, Warsaw and Gdansk.